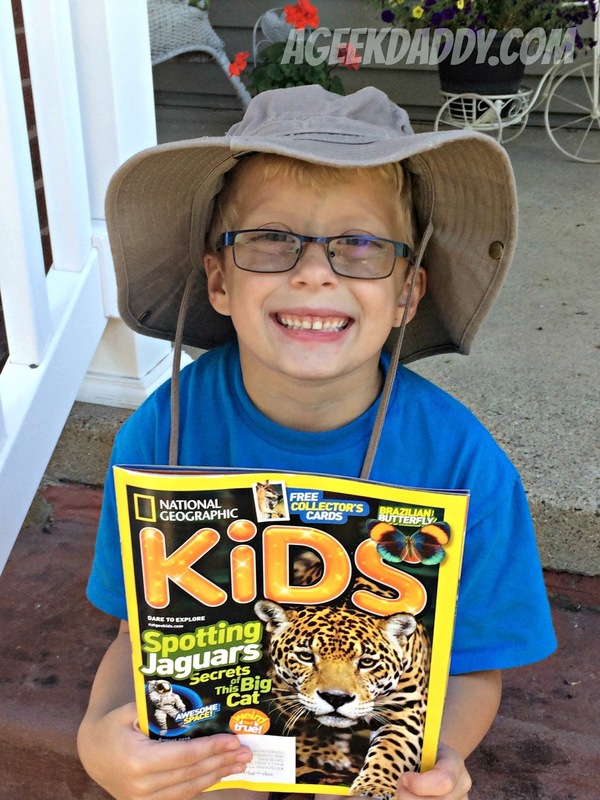 National Geographic has announced the family bloggers who will participate in the National Geographic Kids Insider brand ambassador program for the 2016-2017 yearlong assignment and A Geek Daddy is proud to have been included to participate for a second year. “Insiders” get a behind-the-scenes look at National Geographic’s resources, activities, content and projects for kids and families. They receive review copies of books, magazines and toys, and will be offered interviews with authors, explorers and editors. All “Insiders” are also given a badge to display on their web sites. National Geographic Kids teaches kids about the world and how it works, empowering them to succeed and make it a better place. National Geographic Kids inspires young adventurers through award-winning magazines, books, apps, games, toys, videos, events and a website, and is the only kids brand with a world-class scientific organization at its core. The National Geographic Kids Insiders were selected because of their enthusiasm for raising the next generation of explorers. A Geek Daddy is excited to share this experience with our blog readers and social media followers. Keep an eye out for #NatGeoKidsInsider posts featuring educational experiences, interesting reviews and fun giveaways throughout the next year. CLICK HERE to read the full announcement from National Geographic Kids and see the full list of 2016-2017 brand ambassadors.